Singapore/Hong Kong: Fitch Ratings has downgraded India-based Reliance Communications Limited’s (Rcom) Long-Term Foreign- and Local-Currency Issuer Default Ratings (IDRs) to ‘CCC’ from ‘B+’. Fitch has also downgraded the rating on Rcom’s USD300 million 6.5% senior secured notes due 2020 to ‘CCC/RR4’ from ‘B+/RR4’. The Rating Watch Negative on the IDRs and notes, which has been in place since December 2016, has been removed. Poor Liquidity: Rcom’s rating downgrade reflects Fitch’s belief that some kind of default is a real possibility. EBITDA declined by 30% to INR49 billion in the financial year to end-March 2017 (FY17) from INR71 billion in FY16, and is likely to be insufficient in the current financial year to meet annual interest costs of INR35 billion and maintenance capex of INR15 billion. At end-March 2017, liquidity was poor with cash and equivalents of INR14 billion – insufficient to pay short-term debt of INR109 billion. Excessive Refinancing Risk: We believe that Rcom may struggle to refinance its maturing short-term debt given declining EBITDA and delays in executing asset sales. Rcom’s capital structure is unsustainable as FY17 FFO-adjusted net leverage was over 9.0x and we do not expect that operating cash flows will improve. Business Model Compromised: Given its high level of debt, we believe that Rcom’s business model is compromised due to fierce price competition in the Indian mobile market. Rcom’s market position is weak and it has limited financial flexibility to invest to strengthen its position or step-up marketing costs. We have a negative outlook on the Indian telco market as we expect the credit profiles of the top-four telcos to come under pressure from tougher competition and larger capex requirement. Competition is likely to remain intense as new entrant Reliance Jio (Jio), part of Reliance Industries Ltd (BBB-/Stable), will continue to offer cheaper tariffs to gain market share from incumbents. Rcom’s size, scale and diversity will be much smaller should the company complete the sale of its tower business and demerge the wireless unit as planned. On a pro forma basis, the residual company may have net debt and EBITDA of around USD1.5 billion-USD1.6 billion and USD240 million-USD250 million, respectively, in FY18. The pro forma financial numbers exclude those from Global Cloud Xchange (GCX, B+/Stable), a sub-sea cable business 100% owned by Rcom, which has covenants restricting upstreaming of cash to Rcom. At current and forecast levels of gearing, we do not believe GCX to be able to provide cash to support Rcom’s creditors. Delays in Deal Execution: We believe that weakening cash generation from its core wireless business may hamper the plan to demerge its wireless business into a 50:50 joint venture and sell 51% of its tower business, Reliance Infratel Ltd (Infratel). Even if these transactions happen and debt is paid down, we believe the residual business is likely to be saddled with too much debt. Management expects to complete the deals by end-September 2017. The transactions are subject to approval from lenders, shareholders and the Indian telecoms regulator. The rating action reflects Fitch’s assessment that short-term liquidity has deteriorated to a position where credit risk is very high. We believe that Rcom’s business model is compromised in the highly price-competitive market due to the high level of debt and loss of market share to competitors with greater resources. Its capital structure is unsustainable and it has excessive refinancing risk given that we expect cash generation may decline. During FY17, Rcom’s revenue and EBITDA declined by 10% and 30% respectively. We do not believe that FY18 EBITDA will be sufficient to cover its annual interest cost and maintenance capex requirements. – Delays in execution of tower sale and demerger of wireless unit to lead to inadequate liquidity to pay short-term debt. – Analytical deconsolidation of wireless JV, Infratel and GCX businesses because of their inability to provide cash to support Rcom’s creditors. – The wireless JV, Infratel and GCX businesses do not require equity from Rcom. – Sale of 51% ownership in Infratel will reduce debt by INR110 billion. – Liquidity improves such that Rcom is able to refinance its maturing short-term debt and pay for its interest costs and maintenance capex from its operating cash flows. – Completion of sale of tower business and demerger of wireless unit leading to improved liquidity. 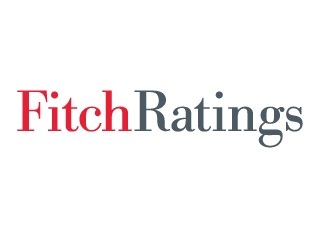 – Fitch believes that liquidity has weakened such that default appears probable. Poor Liquidity: At end-March 2017, cash and equivalents were INR14 billion – insufficient to pay for short-term debt of INR109 billion.